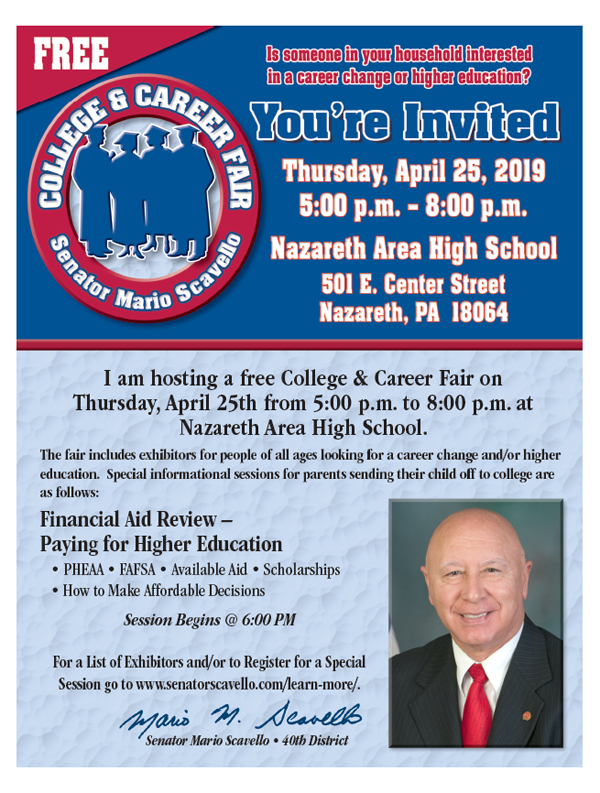 On April 25 from 5 p.m. to 8 p.m., I am hosting a College & Career Fair at Nazareth Area High School (501 E. Center Street, Nazareth). This event is specifically geared toward high school students looking to further their education at college or in the skilled trades. We have 46 exhibitors registered so far and representatives from many PA-based colleges and technical schools who will be in attendance. Please reference the flyer for more information. The Fair includes a special Financial Aid Review session at 6 p.m. for parents and students to learn the ins and outs of paying for higher education. For a list of exhibitors and to register, please visit www.senatorscavello.com/learn-more. 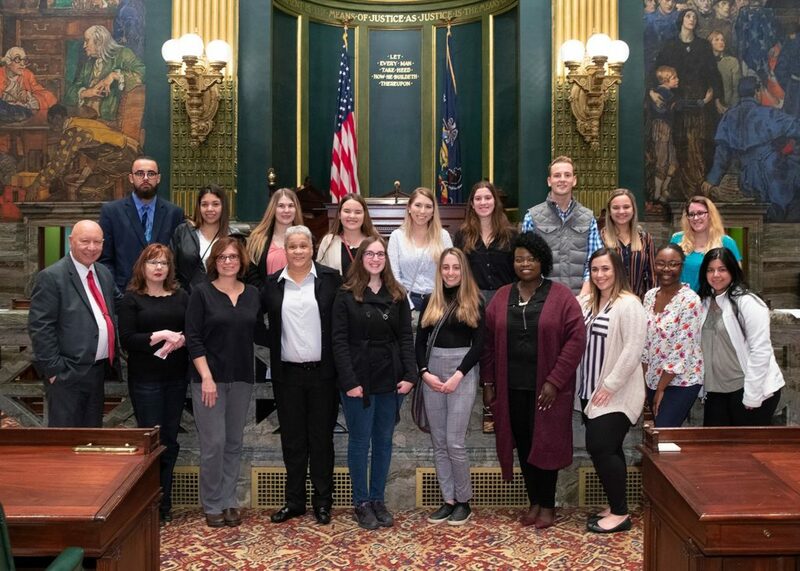 This week I was pleased to welcome a group of Social Work students from East Stroudsburg University and Northampton Community College to Harrisburg. We met as part of the National Association of Social Workers – PA Chapter’s Legislative Education & Advocacy Day. I appreciated the constructive and thoughtful conversation. 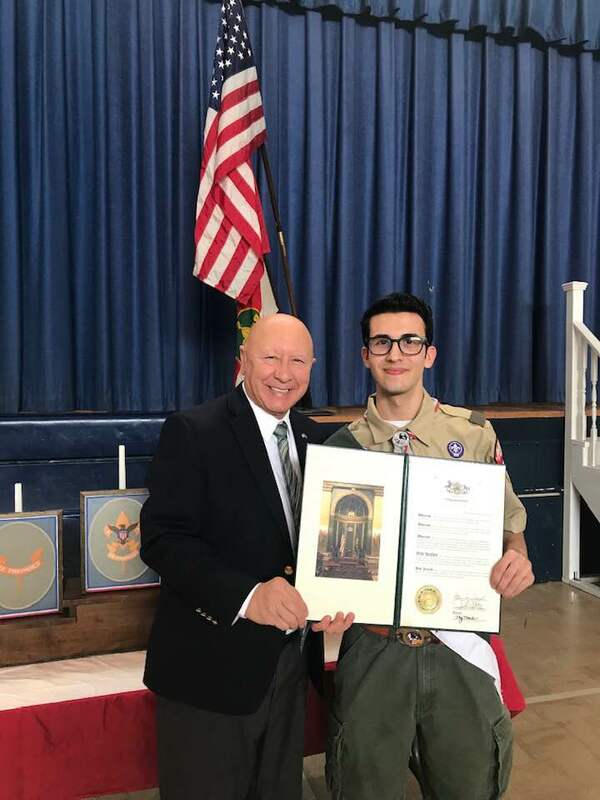 A special congratulations to Jonas Rivera of Troop 89 who was recently awarded the rank of Eagle Scout. I have known Jonas and his family throughout the years and have seen him grow into an impressive young man. For his service project, Jonas refurbished the Stations of the Cross and memorial benches at Monsignor McHugh school in Cresco. You should be very proud of this accomplishment, Jonas, and I wish you and your family all the best as you continue to serve our community! 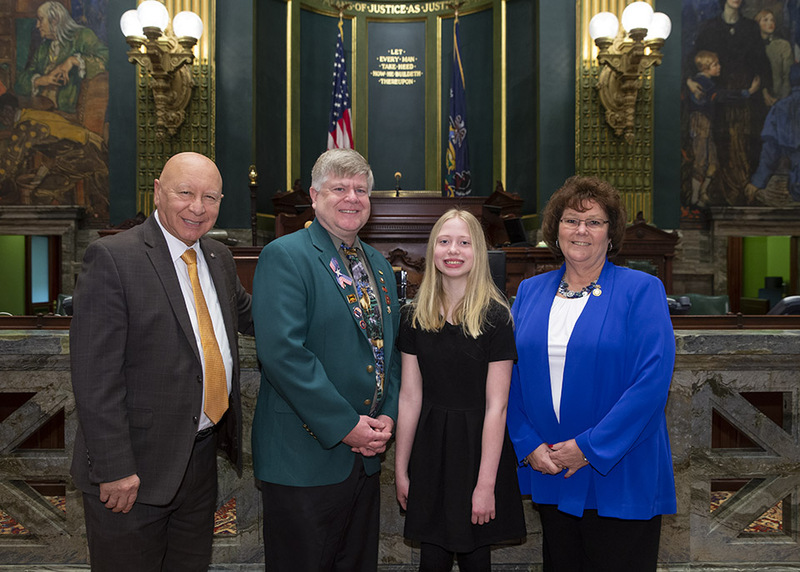 I consider it one of the greatest privileges as a legislator to host students from my district in Harrisburg for the opportunity to serve as a shadow or a guest page. These experiences give students a more comprehensive understanding of the legislative process, issue advocacy and representative government. This week I hosted guest page Brooke Bond, a fifth grader from NASD Nazareth Area Intermediate School. Brooke is active in several activities including sports, her Girl Scout Troop, the BPOE Antler Club (a junior Elk program) and loves all things outdoors. She has a very bright future. 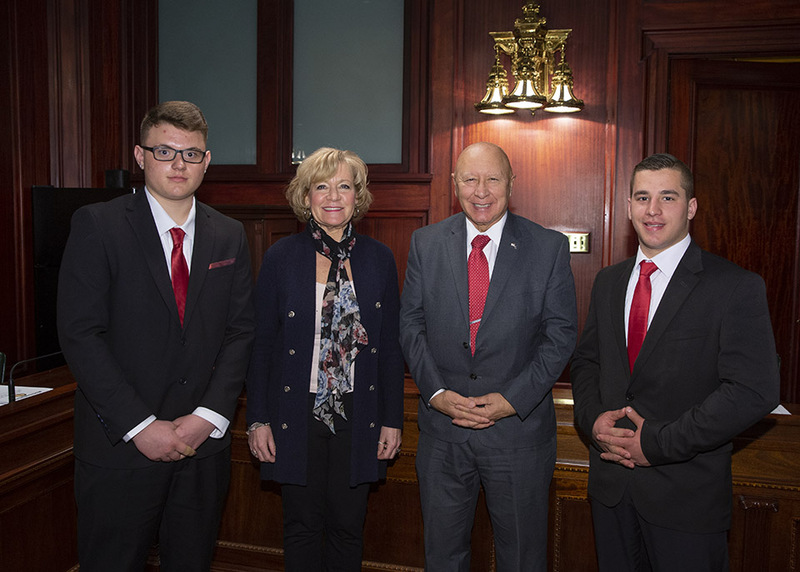 I also hosted Tanner Beruta and his friend, Zachary, at the Capitol. Tanner is a senior at Northampton Area High School and aspires toward a career in law enforcement as a PA State Police trooper. While in Harrisburg, he had the opportunity to tour the Capitol Police Department meet with Senator Boscola and Rep. Marcia Hahn. On Wednesday, the Senate passed legislation I’m co-sponsoring to save lives through greater education and training in cardiopulmonary resuscitation (CPR). More than 350,000 cardiac arrests occur outside of hospitals each year, and there is a less than 10 percent survival rate for sudden cardiac arrest. If enacted, Pennsylvania would become the 39th state with such CPR legislation. The measure now goes to the House of Representatives for consideration. Senate Bill 49 extends “Good Samaritan” civil liability to a person who — in an effort to save a child — breaks a window or forcibly enters a parked, locked vehicle. The bill is named in memory of the 49 children who died last year from vehicular heatstroke. The law would bring Pennsylvania in line with 20 other states that give immunity to bystanders who help children locked in hot vehicles. The measure now goes to the House of Representatives for consideration. House Bill 18 authorizes the release of Project 70 restrictions on lands owned by the Borough of Topton, Berks County, in exchange for the imposition of the restrictions on other lands to be acquired by the borough. The bill also provides for land conveyances in Chester, Lehigh and Monroe counties. The bill returns to the House of Representatives for concurrence on Senate amendments. Senate Bill 115 integrates CPR instruction into existing curriculum for grades 9-12. Senate Bill 127 reauthorizes Pennsylvania’s 911 Law. Senate Bill 372 updates the state History Code. Senate Bill 25 modernizes the Professional Nursing Law for Advanced Practice Registered Nurses. Senate Bill 149 amends the state Constitution to create a crime victims’ “Bill of Rights.” Since the measure is a Constitutional amendment it must be approved by the Senate and House during two sessions before it can go to the voters. It was approved during the 2017-18 Legislative Session as Senate Bill 1011. Senate Bill 110 amends the Home Rule Law. The committee held a public hearing on the Pennsylvania Department of State’s intention to decertify all election machines statewide prior to the elections of 2020. Counties must then replace those machines with expensive new machines. The committee held a public hearing Monday on the impact of Act 23 of 2015. The law was enacted to ensure that a service member’s military education and training are taken into consideration for the purpose of fulfilling requirements for professional credentials. The aim was to prevent the duplication of training and education of a veteran and get them into a civilian career faster. The hearing explored whether addition legislation is necessary. The Senate returns to voting session on Monday, April 8 at 1 p.m. You can watch session live at SenatorScavello.com.